How much does it cost to travel to Philippines? How much money will you need in Philippines? ₱2,627 ($51) is the average daily price for traveling in Philippines. The average price of food for one day is ₱599 ($12). The average price of a hotel for a couple is ₱1,874 ($36). Additional pricing is in the table below. These average travel prices have been collected from other travelers to help you plan your own travel budget. The Philippines is an island nation in Southeast Asia, and it includes over 7,000 islands. It has a beautiful coastline and friendly people, and, because of Spanish colonization, is considered to be Asia's largest Catholic country. The country is quite diverse with over one hundred different ethnic groups, a large international influence, and a Spanish/Latin twist. It makes for a very interesting take on Asian culture, combined with a beautiful, tropical destination. It has some great opportunities for scuba diving, wildlife spotting, and festival viewing. There are also countless opportunities to enjoy adventure sports while you're in the country. Whatever your interest, the Philippines likely has an activity or attraction that appeals to you. The climate in the Philippines is tropical and the hottest months are between March and May. In June the rains start and this lasts through October when strong typhoons are possible. The coolest months are between November and February. Probably the best time to visit is between the middle of January and the end of February when the weather is at its coolest and the area is dry. Whenever you decide to visit the Philippines you can expect sudden weather changes. As an island nation the weather can be highly unpredictable so come prepared for anything. The Philippines are divided into three major island groups. Luzon is the northernmost part of the country and is the economic and political center. It's also where you will find the country's capital city of Manila. The country's best beaches are on the middle islands, known as Visayas. This is the area with the richest biodiversity and the best wildlife. To the south is the Mindanao. This is where you find most of the indigenous culture in the Philippines. The Philippines is a cheap travel destination, even by Southeast Asian standards. Some hotels may be more expensive than you would expect, but as a whole it is a very affordable travel destination. You may decide to take some domestic flights to explore the area. These are reasonably priced but there are often more affordable alternatives if you do some research. 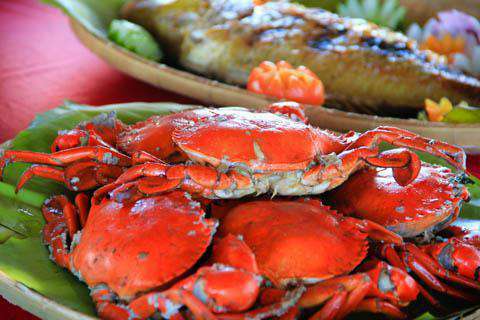 Food in the Philippines is very cheap, particularly if you dine at local establishments. Street food is always an affordable option as well. If you're interested in Filipino culture and history head to the Banaue area. There are rice terraces that have existed for over 2000 years. It's a very scenic area that has been designated as a UNESCO World Heritage Site, and shouldn't be missed if you're in the area. Because the Philippines is made of the many different islands you'll likely find yourself taking several different flights while you're in the country. Some of the most popular and affordable airlines include Philippine Airlines, Cebu Pacific and Airphil Express. Flights are usually reasonable in price but do increase around major holidays or during peak travel times. Most flights are economy class only. If you decide to take a trip on the Bicol Express Train you can decide between four different classes. These include the executive sleeper class which has private, air conditioned cabins with one bed; the family sleeper class which includes four beds in an air conditioned cabin; the deluxe class which offers reclining chairs in air conditioned cabins; and the economy class which includes benches and fans for ventilation. There are ferries that connect many of the islands. While this is a cheap form of transportation it is also somewhat unsafe. Use commonsense when you board a ferry. If the boat seems to be over capacity, do not get on it. Also make sure you check the weather reports prior to taking a ferry as some captains sail even in rough waters. Generally speaking, ferries are not safer than flying. Don't overlook the historic sights while you're in the Philippines. The natural beauty is perhaps the most impressive part of the country, but there are still some excellent museums and cultural areas that are well worth a visit. Tamaraw Falls: This is a popular thirty meter high waterfall with nearby swimming pools. It's about 14 kilometers from Puerto Galera and is a crowded destination on weekends, particularly on Sundays when admission is free. If you're there during the week the crowds will be much less. Bring a packed picnic lunch and there are facilities where you can enjoy your meal while looking out over the waterfall. Hundred Islands National Park: Hundred Islands National Park is a small but lovely national park just off the Alaminos coast. It is made up of over one hundred islands, but only three of them have been developed for tourists. Pagudpud: Pagudpud is probably one of the most popular tourist beaches in the Philippines. It has a beautiful white sand beach and blue water perfect for swimming. It's relatively secluded but still conveniently located and is accessible by public transportation. Filipino food is heavily influenced by many different cultures including Chinese, Malay, Spanish, European and American cuisines. It's probably the least spicy cuisine in all of Southeast Asia but it still has a strong flavor as it is typically seasoned with garlic, onions and ginger. Many of the dishes cook for long periods of time so the flavors are well integrated. Sinangag: This is a fried garlic rice dish made with dried shrimp and mixed with sausage or hot dogs. It's ubiquitous around the Philippines and it's one of the most popular dishes in restaurants around the country. Chicharron: These are salted and deep fried pork rinds. They're available at many balut vendors and are often served with vinegar, chillis, or a liver sauce. Another variation of the dish is made with deep fried pig intestines. Hamonado: This is a honey cured meat dish that is served on special occasions. It's most often made with pork and honey or pineapple juice is used to sweeten it. It's most commonly served during the Christmas or New Years holidays and is a favorite around the country. Because the Philippines is a country of islands, you will likely end up traveling by ferry or boat a good amount. Generally, prices are quite cheap and can be as low as ₱1,000 for one day trips, and half of that for shorter trips. Some of the bigger companies include WG&A SuperFerry, Sulpicio Lines, Negros Navigation, and Oceanjet. Trips can be anywhere from a few hours to a couple of days, depending on the distance and the company you choose to go with. If a ship is overcrowded, it is best to go with another company, as safety can definitely be a concern on some ferries.